Korean martial art training promotes flexibility. While the practicality of kicking high in a street situation may be debatable, the ability to have the option of kicking to higher targets increases offensive options. At the green belt level and up, after at least one year of basic break-falling practice, students learn basic Yudo throws and eventually are encouraged to try to utilize throws, take downs and sweeps when sparring on appropriate floor surfaces. 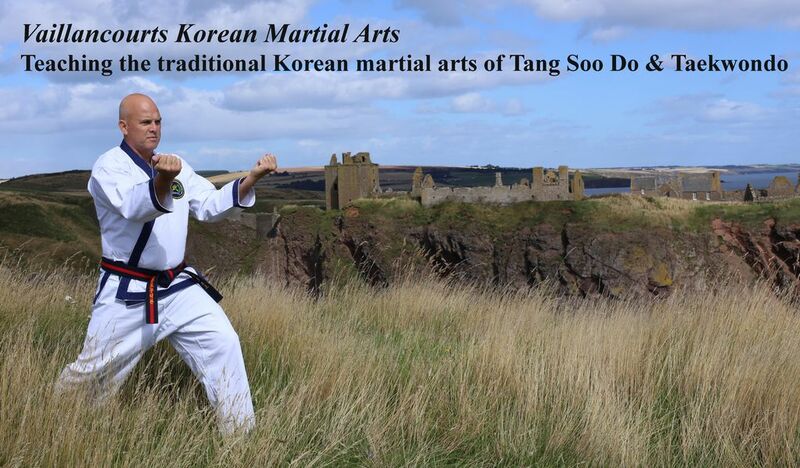 Tang Soo Do is a classical Korean martial art developed during the 1940s from earlier martial influences. While many are familiar with the more modern term of Taekwondo, the name Tang Soo Do is older and more reflective of traditional self-defense based training (versus being sport-orientated). Tang Soo Do is the Korean pronunciation for Karate-Do and literally translates to "Way of the Tang (dynasty) Hand." 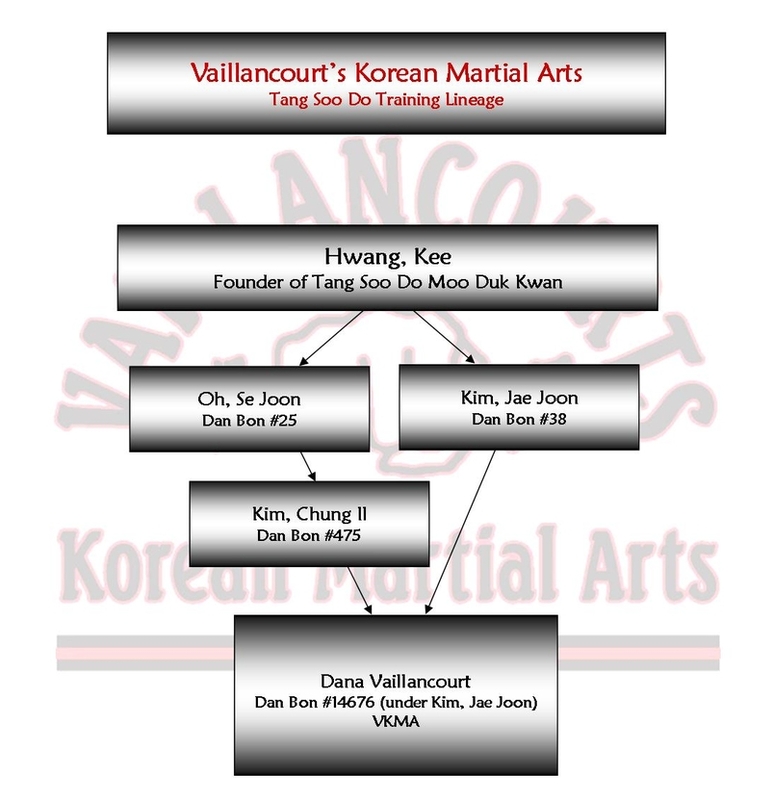 Tang Soo Do was first taught by Won Kuk Lee of the Chung Do Kwan (“Blue Wave School”) and shortly after by Hwang Kee of the Moo Duk Kwan (“School of Martial Virtue”). The Chung Do Kwan was influenced by Lee’s training at the Song Do Kwan (Shotokan) where he received karate instruction from Funakoshi Sensei. The Moo Duk Kwan is believed to have been influenced by Hwang’s training in Korean Tae Kyon, Chinese Shaolin Long Fist & Tai Chi Chaun, and Japanese Shotokan. Therefore, the Moo Duk Kwan’s style of Tang Soo Do is a composite style that encompasses both hard and soft components. The style of Tang Soo Do (and Taekwondo) taught in our program is from the Moo Duk Kwan lineage. Dana has been fortunate to have trained under two of the most senior, continuously teaching Tang Soo Do instructors in the world!